The Sleep Project at the Cerebra Centre for Neurological Disorders at Birmingham University is studying sleep in children with neurological conditions. In this article Professor Chris Oliver and Dr Caroline Richards explain the need for the project and the progress that’s being made. Why is the Sleep Project important for families? Sleep is a universal phenomenon, influencing almost every human activity. We need good quality sleep in order to learn new information, pay attention to the world around us, and store memories effectively. Sleep influences our mood, how hungry or full we feel, as well as fundamental biological processes such as cell development. Given the wide-reaching impact of sleep, it is not surprising that poor sleep has a significant negative impact on people. Despite this great need, research on sleep in children with neurodevelopmental disorders is sadly lacking. We know the least about sleep in the children for whom sleep is arguably most important. The Sleep Project, conducted by the Cerebra Centre for Neurodevelopmental Disorders will change this. We lead cutting edge research to understand the different types and causes of sleep problems in children with neurodevelopmental disorders, identifying how poor sleep impacts on children and their families and trialing new interventions to reduce sleep problems more effectively. What progress has the Sleep Project made since Cerebra began to support it? We have conducted a large scale interview study, speaking with fifty parents and carers of children with Angelman syndrome (a rare genetic syndrome associated with sleep problems) to identify their concerns and priorities in sleep. We completed a cross-syndrome sleep survey with over 190 children with Angelman syndrome, Smith-Magenis syndrome, tuberous sclerosis complex and autism spectrum disorder. This provided robust evidence of syndrome specific sleep problems and unique pathways to sleep disturbance. We found that knowing the cause of a child’s neurodevelopmental disorder is essential to ensure accurate understanding of their sleep problem. We have completed the largest direct study of sleep using Actigraphy in children with Angelman syndrome, Smith-Magenis syndrome and Autism Spectrum Disorder. In this study over 100 children wore sleep trackers (Actigraphs) for a week, to provide direct evidence of their sleep-wake cycles. This resulted in the, largest, most robust international data on sleep patterns and the daytime impact of poor sleep in these rare groups. We have collected novel night-camera video data on children in the Actigraphy study and are analysing these data to better understand what children do when they wake up. We will use our understanding of waking and settling behaviours to develop more tailored interventions for sleep. Finally, we have conducted an in-depth study of sleep and parental stress, through collecting Actigraphy, self-report and bio-marker (cortisol) data from parents of children with neurodevelopmental disorder. This will enable us to quantify the impact of children’s poor sleep upon parents and carers. Families who have taken part in these studies have received detailed individualised feedback reports, and the results of these studies have been published or are in review at leading academic journals. A key aim of the sleep project is to ensure that as we improve scientific understanding of sleep in children with neurodevelopmental disorders, we simultaneously share that information with families, clinicians and educators. Research traditionally takes 10 to 17 years to influence real world practice – that is an unacceptably long time. We are committed to reducing this lag. In addition to publishing our research in high-impact academic journals and speaking at scientific conferences, we provide regular talks on sleep to inform and update parents and professionals. 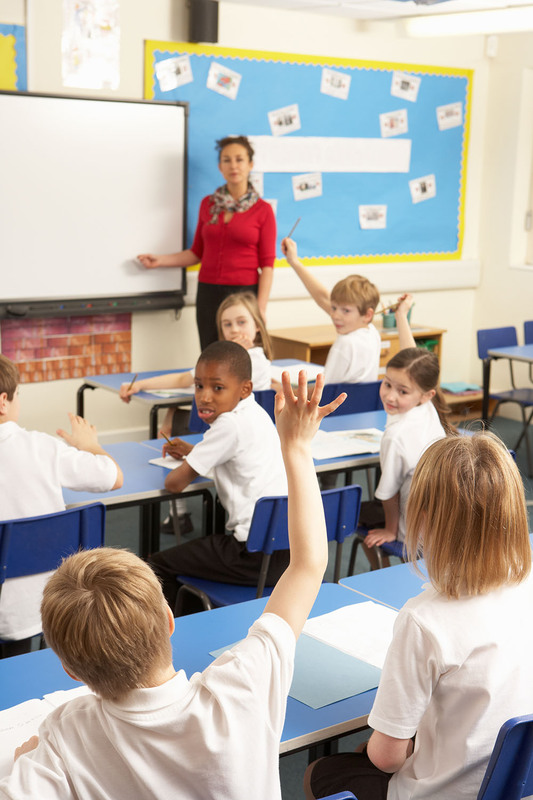 These have included talks at schools, parent support conferences, national professional networking events and large public conferences such as The Autism Show. In addition to this, we co-produced a Sleep Guide for parents, in partnership with Cerebra which is freely available via Cerebra’s website. 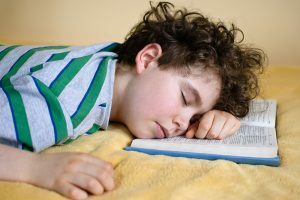 The guide explains how problems with sleep may develop, the specific nature of sleep problems in children with rare genetic syndromes, how to assess sleep problems, and how to intervene to improve sleep. Alongside the guide, we also co-produced brief Sleep Cards to be used by Cerebra’s Sleep Service. These provide bite-size chunks of information on sleep interventions that the Cerebra Sleep Practitioners can give to families they are working with, to help parents and carers to implement evidence-based sleep interventions. We have also launched new sleep content on our dissemination website: Further Inform Neurogenetic Disorders (FIND). The site has had over 14,000 page views since it was launched and continues to attract a high rate of hits. The sleep section on FIND contains accessible information on topics such as: current sleep knowledge, why it is important to investigate sleep in people with genetic syndromes, what interventions are available for sleep and the sleep research that we have been conducting. The Sleep Project will increase expertise in Sleep Research in the UK. Through the first four years of the project, we have trained two PhD, seven Clinical Doctoral, three Masters and 10 Undergraduate students. The majority of these students are now working in either research or clinical psychology and therefore this investment in training has increased UK expertise in sleep problems in neurodevelopmental disorders. What will be the longer term impact of the Sleep Project for families? The long term goal of the Sleep Project is to improve sleep outcomes for children with neurodevelopmental disorders, ensuring that they have the same opportunities to thrive in life as their typically developing peers. With sustained funding, the Sleep Project will ensure that children with neurodevelopmental disorders have access to tailored assessments and timely interventions to ensure the best quantity and quality of sleep for them and their families. Prepared by Dr Caroline Richards and Professor Chris Oliver at The Cerebra Centre for Neurodevelopmental Disorders. As part of Cerebra’s programme of information workshops we have developed a Disability Living Allowance workshop for professionals. This is a full-day event (10am -4pm) and aims to give good basic information about DLA, as well as looking in more detail at the two components and how they are awarded. The bulk of the workshop is spent giving attendees the skills, in conjunction with Cerebra’s DLA Guide, to be able to help parents to complete the claim for, and case studies are used to re-inforce learning. Finally, we look at how to ask for re-assessment of DLA and how to challenge decisions, as well as a very brief look at related benefits. Our extremely popular DLA Guide goes through each question on the DLA form, giving explanations of what they mean and tips on how to answer them. It also gives advice about how to appeal if you’re unhappy with the decision. For further information or to book a workshop, contact David Williams at [email protected]. We’re very excited to announce that we’ve become charity partners of the Conquest. 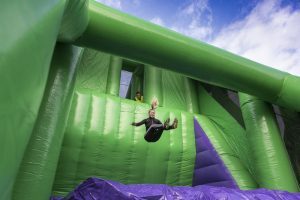 The Conquest is a brand new seriously bouncy inflatable obstacle course where you can run, jump and bounce your way around their six massive inflatables. We’ve tried out the course for ourselves and it’s a lot of fun! The Conquest have a number of events lined up around the country for 2018 but the first event is taking place on 10th December at Carmarthen Showground. It will be getting eager Conquerors into the festive spirit by asking them to come dressed as Santa – there’s even a prize for the best dressed Santa! As the charity partner of the Conquest, proceeds will be coming to Cerebra – something we’re extremely excited about! You can sign up to take part in the Conquest’s December event through their website. See you there! We recently had some very special visitors at Cerebra HQ. Samuel Turner, his family and friend Angel are loyal supporters of Cerebra and have done lots if things to raise money for us including a bake sale at their local fete. 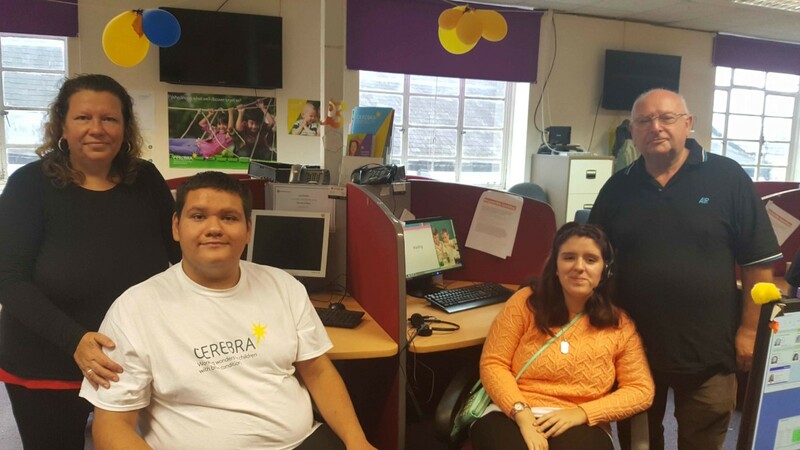 The whole family made the trip from their home in Essex to Cerebra’s Head Office in Carmarthen and spent the day in our fundraising department. They got to know some of our fundraisers and Samuel even took a donation from a supporter! Samuel now volunteers for Cerebra by distributing our collection boxes in his local area and has even appeared on his local radio station to talk about Cerebra and the work we do. It was lovely to meet you Samuel. Our Regional Officer Lilly Fahey recently helped Emma, mum to 12 year old Rory who has Global Developmental Delay. Emma told us their story. “I am a mum; my son Rory will be 12 years old this month. Ever since he started primary school he has been ‘Statemented’. Before Rory started Primary school we had ‘Portage’ come round to my home to see Rory and help encourage him to speak. When he was at pre-school they were concerned that he wasn’t talking and he wasn’t able to keep up with his peers. He was born 4 days late and was delivered by emergency Caeserian. He had trouble breathing he was in the Neonatal unit for just over 2 weeks in a incubator. He had trouble feeding and was bottle fed. He struggled throughout mainstream school, most of Primary and the start of Middle. He could not cope there at all. I used to get phone calls every day to say I had to go and collect him because he was struggling. He was under the Senco, he had one-to-one support and also had one-to-one at Primary. He had one-to-one every day at Middle school. I had a meeting with the Senco in the end because Rory refused to go to school and she actually said, and I was thinking along the same wavelength as her, that ‘Rory will not cope in year 6 or when he gets older’. By that time I was so relieved that the Senco could see that he was struggling. About a year and a half ago Rory was Diagnosed with Global Developmental Delay (GDD). The Paediatrician said that even though he’s 11, Rory has the mental age of 5 years old. In year 5 at Middle school we pushed for a specialist Provision for him. He is now attending a specialist school. He started last September and he now loves going to school. He does have his moments every now again. He goes to school by Transport every day, which he loves. He’s a different boy now. Also not long ago he was diagnosed with a few heart problems including ‘narrowing of the arteries’ and ‘hole in the heart’. One of his valves isn’t working as it should be. He has sensory issues, anxiety issues and is also on the autistic spectrum. Rory’s father and I divorced back in 2010 but I am now remarried. I got married again in 2013. Rory Loves my hubby Neale, he gets on really well with him. My hubby gets on well with Rory. Also I’ve not long ago been diagnosed with (GDD) Global developmental delay myself”. 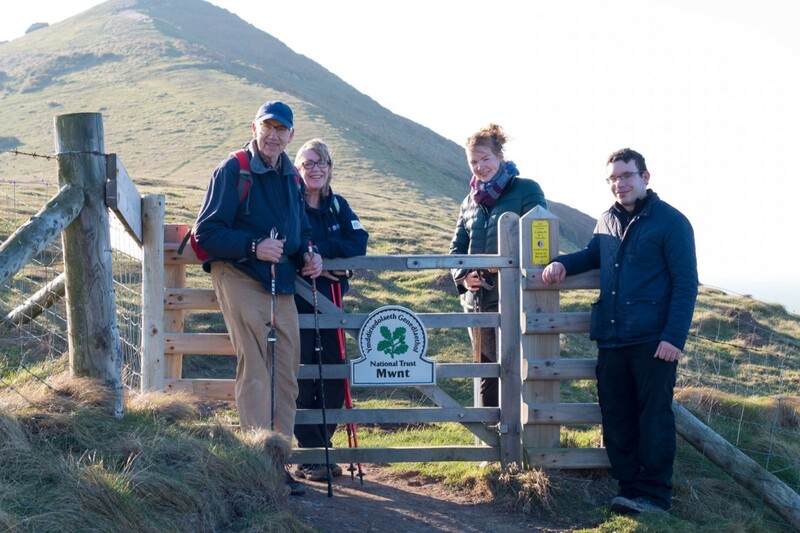 Never one to shy away from a challenge, 71 year old Alex Elsaesser is preparing to tackle his biggest one yet – walking the entire 60 mile stretch of the Ceredigion Coastal path, all in 24 hours. Alex has worked for Cerebra for 16 years and this isn’t the first time that Alex has taken part in an event to raise money for us. He ran the London 10k for a number of years, even taking part with his daughter Alissa who is also a volunteer for Cerebra. This is to be Alex’s last challenge for Cerebra and he wanted to make it a memorable one! Jess Elsaesser and Ezra Mathias will be joining Alex for the trek. Ezra is raising money for Cerebra and the British Heart Foundation. Jess is raising money to purchase sensory toys for the Children’s Ward at the Royal Gwent where she is a staff nurse. All three are committed to do the walk on July 8th. They will be helped by their training coach, Julie Pritchard who will be bringing food, fresh clothes, drink and moral support for this difficult challenge. If you would like to sponsor Alex, Jess and Ezra, you can do so through their Just Giving page. 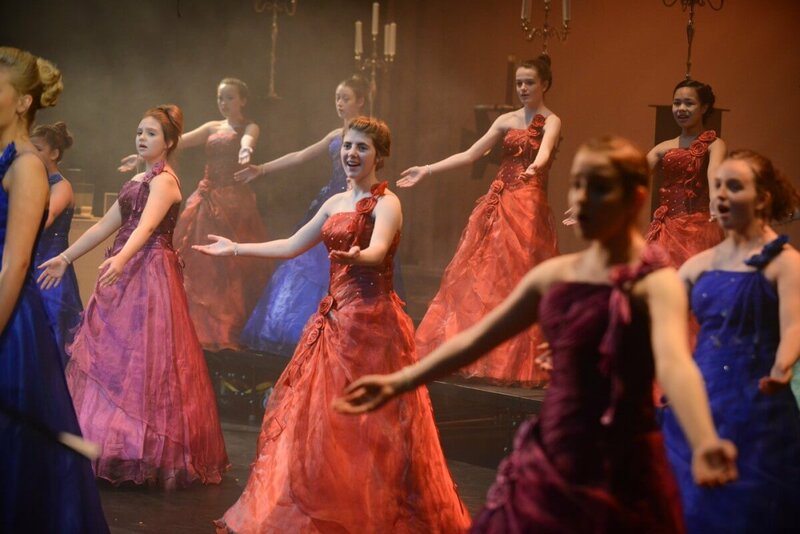 Our Ambassadors Angelicus Celtis wowed audiences on Saturday’s Britain’s Got Talent with their stunning rendition of Nessun Dorma. Angelicus Celtis are avid supporters of Cerebra and are always eager to be involved with the local community. They recently held a successful “Sing and Play” event where they invited our families to come along for a morning of singing and fun. They have also raised money for Cerebra through several of their concerts and supported us at several major events. The choir is made up of a group of school girls from Llanelli and entered the competition determined to try and win for their hero teacher Mr Williams, who was recently in a car accident. Mr Williams and his wife came up with the idea of forming Angelicus from the ranks of the Hywel Girls’ Choir & Hywel Boy Singers. They have done Mr Williams proud so far but now they need your help! They need your support to help them win Britain’s Got Talent! Every vote counts and will help them get to the final. It’s really easy to vote, all you have to do is download the Britain’s Got Talent app for your smartphone or tablet and follow the instructions when voting opens during the live shows. Let’s get them to the final!